This was an interesting device for those whose pockets simply weren’t deep enough to afford disk drives. The Philips mini-cassette drive had proved to be quite reliable for data storage (using the correct cassettes of course) and this unit was available with either one or two drives. Mount tape (i.e.copy index into ram). This was very slow (up to 140s) because the index was stored near the centre of the tape and the tape had to be rewound to the beginning before removing it. Read a file created by the Write command. The file will auto-run at the address specified in the zzzz parameter of the original Write command. Load a file written with the Write command into memory starting at address xxxx. The file does not auto-run. Delete file and make the blocks available for new files. Kill (delete) all files on the current side of the cassette. This is much quicker than deleting each file individually. Change the name of the current file. Names (i.e. a directory listing for the current side of the tape). Lists 5 files at once in a vertical column (not very good really) followed by the number of free blocks. End. i.e. rewind tape to end ready for removal. Zeap. Used to create files from areas of memory where the first word in the file is the file length. YYYY is the auto-start address. BASIC. 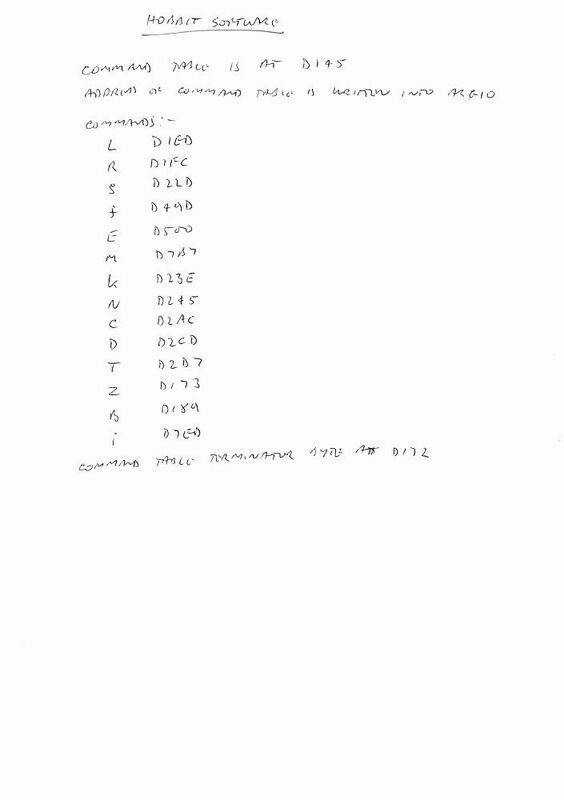 Similar to the Z command, but the first word is the address of the end of the file plus 1. BASIC and NASPEN files are of this type. Transfer a file from the selected unit to the other one. B – Bad file structure. i.e. your program. In 1984 these devices sold for about 80UKP plus carriage for a single unit. This was actually fairly reasonable at the time. The unit in the photographs above was, I suspect, an early version as one of the interface PCBs is actually built on veroboard! I know that single units were fitted into small metal cases but I have never seen a cased twin drive. It appears that early versions of this device were referred to as “Hobbit” drives (the words “IKON HOBBIT” are actually written on one of the interface PCBs). It was, however, also known as the “Ultradrive” as shown on the instruction book cover. I have also seen this referred to in documents which indicate that the units were also available for the BBC Microcomputer, so maybe the Nascom “Hobbit” version was an experiment! IKON also sold a tape, “Microsoft BASIC Upgrade Kit”, which added Select drive, Open a file for writing, Write a string of up to 80 characters to a file, Open a file for reading, Close a file and Get a line of text from a file. The cassettes were, of course, like the miniature ones used in pre-digital voice recorders. I think there was a better grade though, using a much better quality tape. The official Philips tapes cost about £3 at the time. Cheaper dictation tapes were less than half the price and longer. The increased length was a disadvantage in that it took longer to Mount a tape. The source code for the Hobbit operating system was never released, unfortunately, although that for the upgrade kit was. The Philips drives require phase-encoded data, something normally done in hardware. However, Dave Tucker had managed to achieve this in software, keeping the hardware interface to the minimum. This could have been the reason why. I apologise for the hand-drawn sketches below. I promise, I will get round to doing some proper drawings sometime!